Garden Pathway Progress - Get Rid Of Those Weeds! 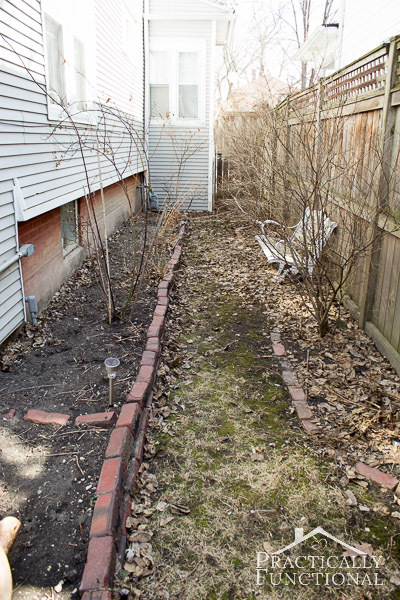 Home > Projects > DIY > Garden Pathway Progress – Get Rid Of Those Weeds! 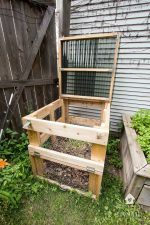 Garden Pathway Progress – Get Rid Of Those Weeds! Kinda messy, but it definitely has potential! The first thing we had to do was get rid of all the weeds. There are dandelions galore all over the back yard; in the grass, in the garden beds, even growing up in between the cracks in the bricked patio area! Luckily, the Spectracide Weed & Grass Killer that Spectracide sent to me is designed to work on dandelions (along with tons of other weeds)! And it’s a non-selective herbicide, meaning it will kill any vegetation it comes in contact with, which is perfect because we want to completely clear the path area before setting down the paver stones! Spectracide Weed & Grass Killer enters plants through the leaves and moves down to the roots so that it kills the entire plant. It’s only active inside the plant itself, not in the surrounding soil, which is great if you want to replant in the area. But for us it meant we had to rake up all those fallen leaves before we could start spraying, so we can actually see the leaves of the weeds we are trying to get rid of! We’re keeping all the leaves we rake up so that I can start composting. As soon as I get a compost bin built, those leaves will be the first things in it! Once the leaves were cleared we read the instructions on the bottle of Spectracide Weed & Grass Killer, hooked up the spray nozzle, and got to work! 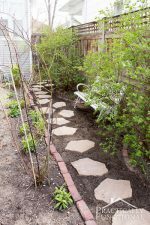 It was super easy to spray down all the weeds and grass in the pathway, and because we wanted the entire pathway cleared, we didn’t have to worry too much about adjacent plants that we wanted to keep alive. 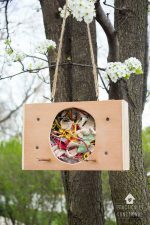 But if you are spraying near plants you want to keep, just cover those plants with a piece of cardboard or plastic when you spray, and they’ll be totally fine as long as the spray doesn’t get on the leaves! I went outside to check on the progress the next day, and the weeds were already starting to turn yellow! Hurray! The bottle said wait about a week for the weeds to die all the way down to the root, so we plan to rake up all the dead weeds next weekend and start laying the stones then. But in the meantime, check out the awesome pavers I found at Home Depot. I’m super excited to put these in next weekend! 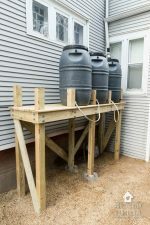 What projects are you working on in your back yard? If you have garden plans for this spring, check out Spectracide’s Facebook page for great tips and tricks! Finishing Up Our Garden Pathway! 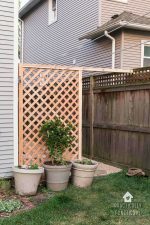 Build A Simple DIY Trellis Screen To Hide Ugly Areas In Your Backyard! Thanks Marie! I was really happy to find ones that looked natural but weren’t outrageously expensive! Does this weed killer wipe out birds, bats and bees? I don’t believe so; it is meant to kill weeds and grass, not bugs, rodents, animals, or other garden pests. The precautionary statements say that it can be irritating to eyes on humans or domestic animals if it comes into contact with your eyes, but I don’t believe it’s toxic to animals.